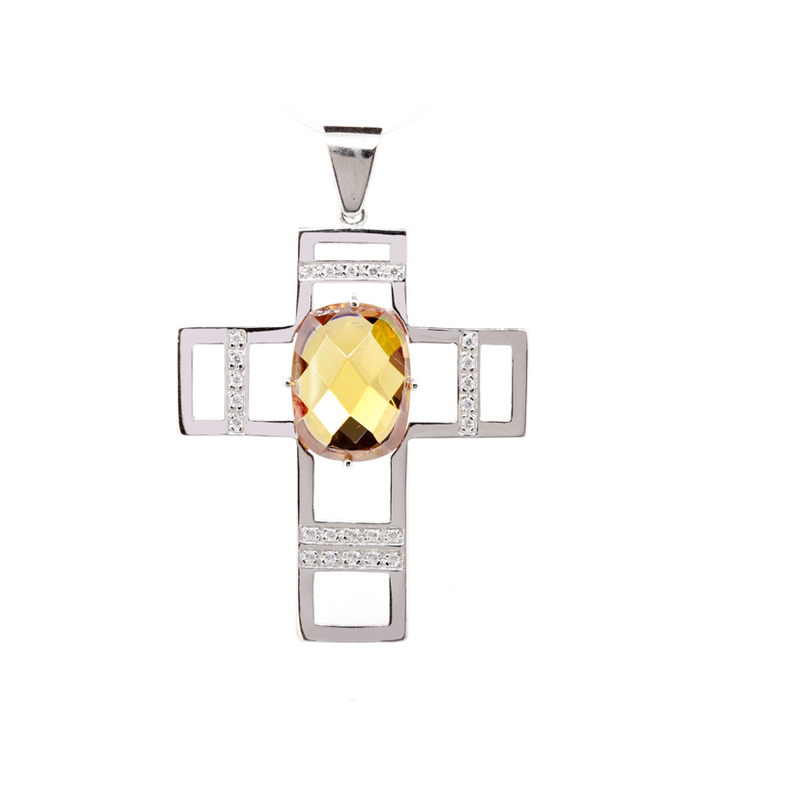 Cross of silver of law rhodium-plated on 925 thousandths, pierced with stones and Topaz square in the Centre. Hanging loop. Vertical length of 4.10 cm, horizontal length 3.50 cm. We deliver in case of quality of the firm Stradda.